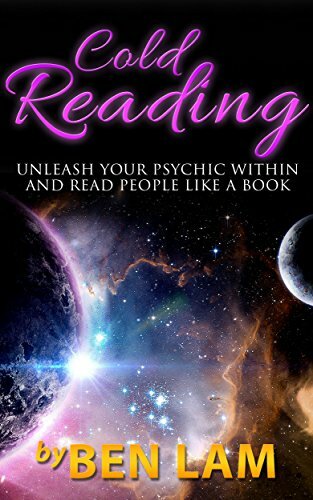 Here in this book, you will learn exactly what to do to project your psychic power to read people. It will become a new skill that you will acquire that you can use in your daily life. You can use cold reading to impress people or and to make friends, but there are so much more circumstance that you can use this book— such as when you have a new manager, you can use cold reading to have a clue right away what the manager is like.Is it OK if you fool around and break the rules, or do you have to stick to the rules. If you are a salesperson, you will have a clue of what type of merchandise is more appealing to your customer. If you meet your ideal lover, you will know right away if he/she is extrovert or introvert, what type of activity, and conversation topics are appealing to this person. You can use such an ability to go out and impress people in your social interactions. You will learn what type of conversation topic that person will be most likely into. Ability to extract some information without directly asking the person. If you go for a psychic reading, you will understand exactly what they are doing. It will sharpen your sense of observation in people. Your observation will not increase, but it would be focused on the specific clues you are looking for, making it more efficient. If you currently work as a psychic, you will be able to sharpen your skills with the information in this book. Click the Buy Now With One Click Button, and learn this new skill today!